Single-purpose SIEM software and log management tools provide valuable security information, but often require expensive and time-consuming integration efforts to bring in log files from disparate sources such as asset inventory, vulnerability assessment, endpoint agents, and IDS products. Once you have the data, you then must research and write correlation rules to identify threats in your environment. These challenges multiply as you migrate workloads and services from on-premises infrastructure to public cloud environments. 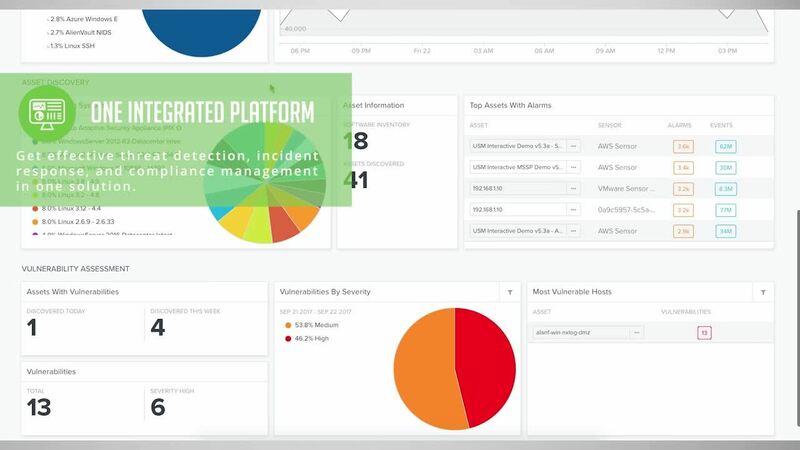 Unlike other SIEM software, AlienVault® Unified Security Management® (USM) combines powerful SIEM and log management capabilities with other essential security tools—including asset discovery, vulnerability assessment, and intrusion detection (NIDS and HIDS)—to give you centralized security monitoring of networks and endpoints across your cloud and on‑premises environments–all from a single pane of glass.  With AlienVault USM, you can start detecting threats in your environment from Day One. 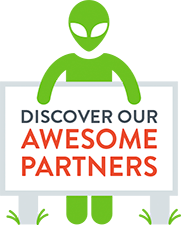 That’s because the USM platform includes an extensive and continuously evolving library of correlation rules researched and written by the AlienVault Labs Security Research Team. 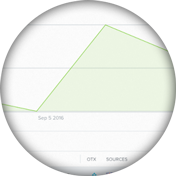 This team of security experts tracks emerging threats in the wild and analyzes the crowd-sourced threat data of the Open Threat Exchange® (OTX™) to continuously update AlienVault USM with the latest security intelligence, so you have an always-up-to-date security monitoring platform. AlienVault USM also enables you to centralize the storage of all your log data in the AlienVault Secure Cloud, a certified compliant environment. This alleviates the burden of having to manage and secure logs on-premises, while providing a compliance-ready log management environment. Traditional SIEM software solutions promise to provide what you need, but the path to get there is one that most of us can’t afford. Traditional SIEM solutions collect and analyze the data produced by other security tools and log sources, which can be expensive and complex to deploy and integrate. Plus, they require constant fine-tuning and rule writing. AlienVault USM provides a different path. 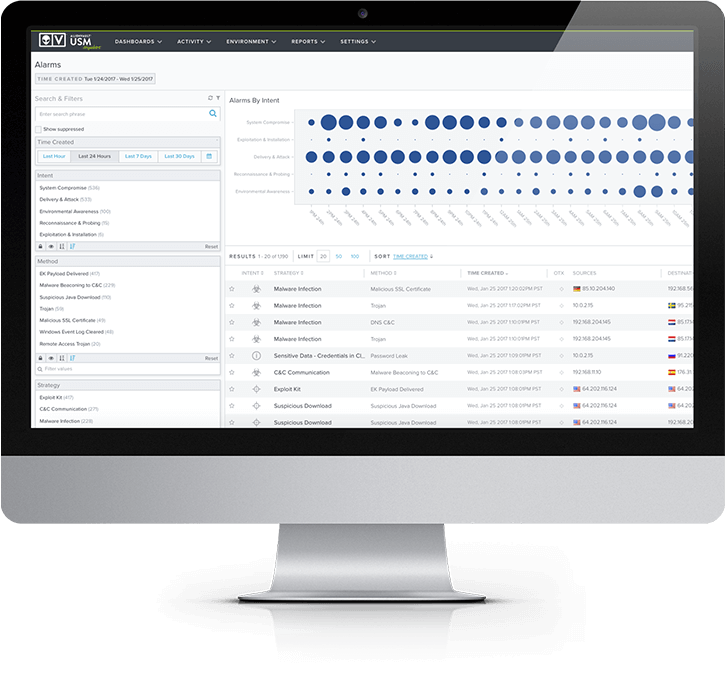 In addition to all the functionality of a world-class SIEM, AlienVault USM unifies the essential security capabilities needed for complete and effective threat detection, incident response, and compliance management—all in a single platform with no additional feature charges. Our focus on ease of use and rapid time to benefit makes the USM platform the perfect fit for organizations of all shapes and sizes. The promise of SIEM software is particularly powerful—collecting data from disparate technologies, normalizing it, centralizing alerts, and correlating events to tell you exactly which threats to focus on first. Unfortunately, achieving and maintaining the promise of SIEM is time-consuming, costly, and complex. AlienVault USM centralizes all the security capabilities you need and simplifies your response efforts by providing an intuitive, graphical alarm dashboard that utilizes the Kill Chain Taxonomy to focus your attention on the most severe threats. 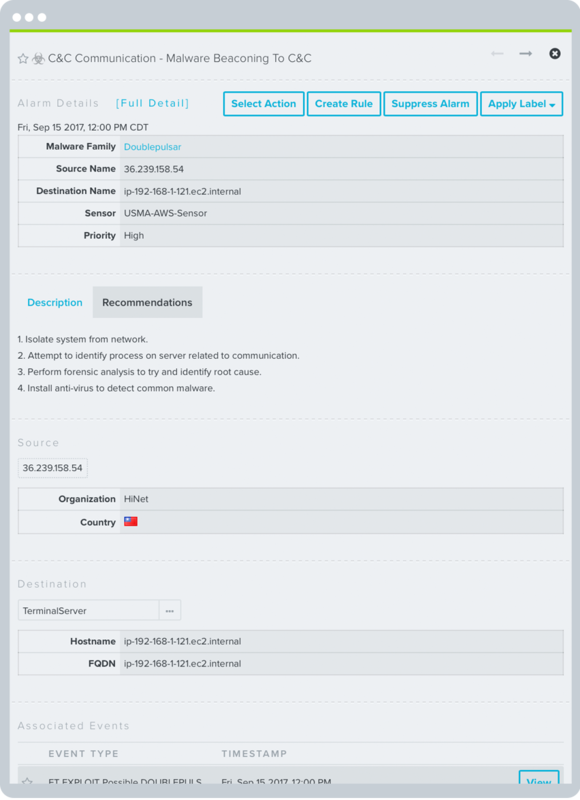 For each alarm in AlienVault USM, you have a complete view of threat evidence: attack methods, related events, source and destination IP addresses, as well as incident response remediation recommendations in a unified view, so you can investigate and respond to threats faster. The USM platform works to reduce noisy alarms and false positives, making your work more efficient. AlienVault USM breaks out attacks into five threat categories to help you easily identify attack intent and threat severity, based on how threats interact with your environment. When an incident happens, you need immediate 360° visibility of the actors, targeted assets, exploitable vulnerabilities on those assets, methods of attack, and more. AlienVault USM delivers all this data in a unified console with rich security analytics, so you can instantly get the context you need to make fast, effective decisions.